Here’s the problem with traditional business plans: they take too long to write, often aren’t read cover to cover, and are difficult to update on a regular basis. 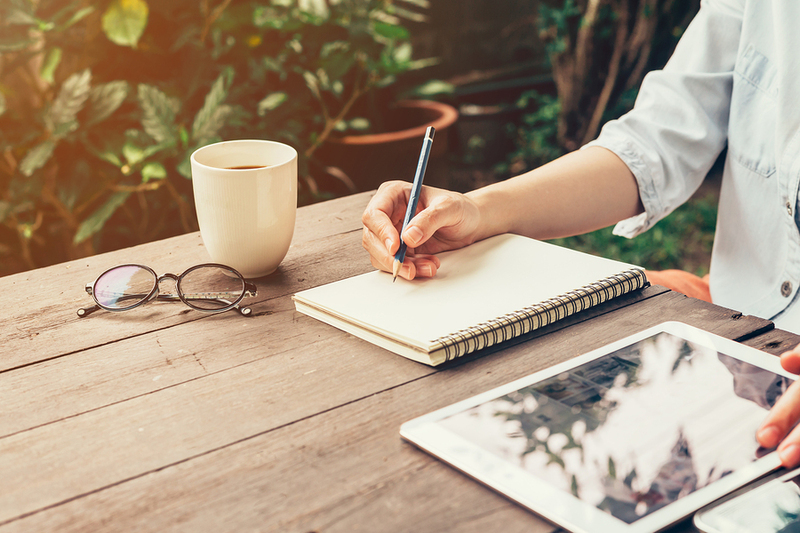 Wouldn’t it be easier to use a simple, one-page template that gives you most of the value of a business plan without the overhead of all the writing and formatting? That’s where the Business Model Canvas and Lean Planning come to the rescue. 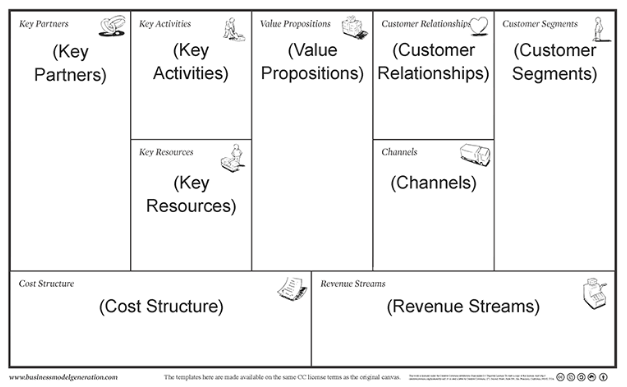 The Business Model Canvas pioneered a new method for developing a business plan with a one-page template. It provided all of the structure of a business plan, without the inconsistencies and vagaries of “back of the napkin” business idea sketches. But, unfortunately, the Business Model Canvas template doesn’t work for everyone. As my team and I have worked with entrepreneurs over the years (and we’ve worked with thousands), we’ve consistently found that the Business Model Canvas can be difficult to understand without substantial training. It’s also difficult to read, especially for people who aren’t familiar with the format. The core issue is that the Business Model Canvas doesn’t focus on making sure a business is solving a real problem for their customers. People like to call this “product/market fit.” In other words, customers (the market) don’t have a reason why they need the product the business is selling. In our experience, if a company can’t find good product/market fit, it will almost certainly fail. Why is the lack of product/market fit such a killer for businesses? Well, when a customer is shopping for something, they’re looking to solve a problem or fill a need. A good business offers products and services that help people solve their problems and fulfill their desires. For example, Mailchimp helps customers easily send email newsletters. A hair salon helps people achieve the style that they’re looking for. Restaurants give people not only the kind of food that people are looking for, but a specific experience—think upscale dining, or a hip and trendy bakery. If a business doesn’t solve a real problem for potential customers, it’s going to have a very hard time attracting customers. Just think for a moment, do you shop for things that you don’t need or want? It’s not that a business needs to solve a completely unique problem, however. In fact, competition is actually a good thing. But, businesses do need to have a unique take on a customer’s problem. For example, think about a mobile phone repair shop. Perhaps customers want a cheaper solution, or a storefront that is closer to where they live or work, or maybe customers are willing to pay more for better service. So, figuring out what makes your business different is a key ingredient to solving the product/market fit problem. Regardless of what your business does, it’s critical that it’s solving a real problem for customers. If your products and services don’t fill a need, customers will never walk in the door. Fortunately, this problem is simple to fix with the right planning tools. Instead of forcing the Business Model Canvas to solve the problem of product/market fit, we decided to take a new approach and created an alternative to the Business Model Canvas Template. We call it a Lean Plan. If you want to get started right away, download the Lean Plan template now. Or, read on to learn about what we changed and how to use the template. Focus: Instead of developing a lengthy, traditional business plan, the Lean Plan requires entrepreneurs to focus on the key drivers of their business and find a strategy that will truly bring success. Simplicity: Anyone can start using the Lean Plan template without any training or business background. And, anyone can easily read it and understand it. Flexibility: Successful planning is all about revising your idea as you try and learn new things. The Lean Plan template is easy to update and tweak as you go. The Lean Plan has 12 elements. Put together, those elements provide a comprehensive overview of a business and its strategy. 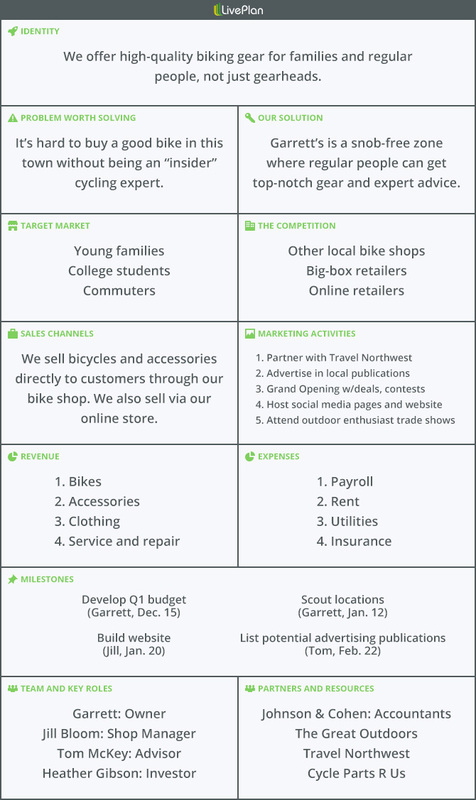 The Lean Plan template focuses up-front on finding product/market fit by helping entrepreneurs identify the key problem they’re solving for their customers and how their solution fills their customers’ needs. With the Lean Plan Template, we kept the concept of “value proposition” because we think it’s important to have a one-line overview of what you do. This is somewhat similar to a tagline that explains what you do in as simple and concise a way as possible. 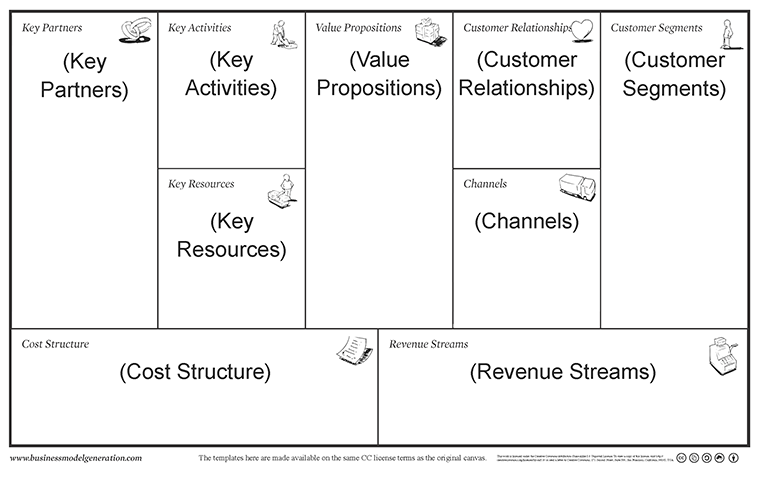 But, instead of focusing on “customer relationships,” as the Business Model Canvas does, we replaced it with sections to describe your “problem worth solving” and your “solution.” Since making sure you have a solid understanding your customer needs and the problems they have is so critical to business success, including these sections as the foundation of the Lean Plan makes sense. The Lean Plan also pairs the problem and solution boxes with sections to describe the target market and competition. These four sections together form the core of your business idea: What you’re doing, who you’re doing it for, and what the competition looks like. Here’s a quick overview of everything else you’ll find in your Lean Plan. Identity: A one-sentence overview of your business. Problem: What problem are you solving for your customers? Solution: What’s your solution to the problem? Describe your products and services here. Target Markets: Who are your customers? Competition: Who are your competitors and what alternative solutions do your customers currently buy and use? Sales Channels: How will you sell your products and services to your customers? Marketing Activities: What are the key things that you’re going to do reach your customers? Revenue: How are you going to make money? Expenses: What are your key expenses when you’re running your business? Milestones: What is your roadmap to test and start your business? Team: What are the key roles that you need in your business to be successful? Partners & Resources: Do you need to work with other businesses to make your business work? The Lean Plan helps distill business strategy into one page and forces entrepreneurs to think about the most important aspects of their business. Without these core planning components in place, success will often be harder to find. You can download the Lean Plan template here. Project it on a whiteboard and fill it in, or just print it out and work on it from there. You can also use sticky notes to add your ideas instead of filling them in just with pen or pencil. If you’d prefer an online solution, you can check out LivePlan and its Pitch feature. The first time you use the Lean Plan Template, I encourage you to move through it quickly. Try and finish your first draft in under 30 minutes. Then take a step back and see if it makes sense. Share your Lean Plan with partners, friends, and family and see if it makes sense to them. If you need to make changes, it’s fast and easy since you’re just editing a single page. If you need more step-by-step guidance, we’ve got a complete guide here. When you’ve completed your Lean Plan, you’ve got the beginnings of your business plan. Now, you need to go out into the world and actually talk to your potential customers and make sure your “guess” is correct. Do your potential customers have the problem or need that you think they have? What do they think of your solution? Will they be willing to pay you? In a future post, I’ll go into more detail about how to actually talk to your potential customers. As you talk to people, come back to your Lean Plan and review and revise it. After a couple of rounds of this, you’ll have a plan for a business that has a good chance of success. As your idea develops and your Lean Plan moves from a collection of guesses to a collection of facts, you may need to develop a more detailed business plan. A detailed plan can be useful for documenting in more detail than will fit on a single page about your target market, marketing activities, and details about your product. A detailed plan may help communicate your knowledge and ideas to your business partners and potential investors. But, don’t start with the detailed plan. Instead, start with the much simpler and faster Lean Plan template, focus on testing and validating your idea, and build your business from there.